Rethinking Urban Sprawl: Moving Towards Sustainable Cities | The Forum Network, hosted by the OECD: Shape ideas. Shape policy. Shape the Future. Urban sprawl, a particular form of development, is often cited as a driver of several environmental, economic and social challenges — including biodiversity loss, greenhouse gas emissions, air pollution, road congestion and lack of affordable housing. What exactly is urban sprawl and how can it be measured? Are cities in OECD countries sprawling and how is this impacting the environment? Join Walid Oueslati and Ioannis Tikoudis of the OECD Environment Directorate on 14 June at 4pm for our next OECD Green Talks:LIVE webinar to discuss the state, evolution and implications of urban sprawl, and policy actions to incentivise greener urban development patterns. The presentation will draw on our new report: Rethinking Urban Sprawl: Moving Towards Sustainable Cities to be released on the same day. This report provides a new perspective to the nature of urban sprawl and its causes and environmental, social and economic consequences. This perspective, which is based on the multi-dimensionality of urban sprawl, sets the foundations for the construction of new indicators to measure the various facets of urban sprawl. 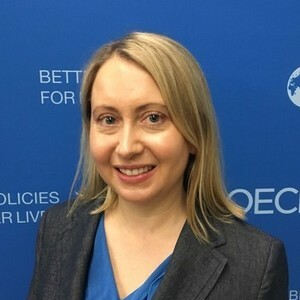 The study uses new datasets to compute these indicators for more than 1100 urban areas in 29 OECD countries over the period 1990-2014. It then relies on cross-city, country-level and cross-country analyses of these indicators to provide insights into the current situation and evolution of urban sprawl in OECD cities. In addition, the report offers a critical assessment of the causes and consequences of urban sprawl and discusses policy options to steer urban development to more environmentally sustainable forms. If you would like to join us for this free webinar, please register to hook into the livestream. Webinar duration: 1 hour (Presentation of 20-30 minutes followed by Q&A).